Considering the importance placed on creating an agile supply chain, little is said about the critical role people play in enabling agility; What attributes should a business look for in recruiting an individual? Can up-skilling aid agility? And what can organisations do to attract the right talent? Recruiting people with the right attitude is absolutely critical and is as important as developing talent within the business. Many of the qualities looked for in a recruit, such as drive, determination and commitment, cannot be instilled through training. So search out individuals with a positive attitude and an enthusiasm for embracing change. Skills can be acquired through training but attitude cannot. An agile organisation requires a stable workforce, one with staying power, and that takes loyalty. Loyalty is a highly desirable attribute; however, it has to be won. The foundations of a good employee/ employer relationship are built upon mutual trust and for this to work the organisation must be one that individuals can buy into. For success, people should be able to see where the business is heading and where they can play a part. In addition, employees need to know how the role benefits them personally – not just financially, but in terms of skills acquisition and professional development too. Agile businesses rely on well-motivated staff. Culture plays a big part in creating cohesion and employee engagement and for this to work positively it has to be inclusive – where success is openly recognised. It’s important to build a culture where people are told when they are doing well – rewarding them accordingly, and helping them with training if they are falling behind. Individuals are also motivated by working for exciting brands – brands that are going places – and many are attracted by the ethos of a business, increasingly with regards its ethical and environmental standing. Agile supply chains need people with a wide range of skills sets. As the business landscape changes and technology, AI and data analytics play a greater part in creating competitive advantage, then the skills and roles required within the supply chain are becoming more sophisticated too. 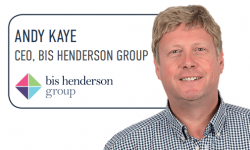 Recruitment now needs to be focused on attracting individuals with the new advanced skills sets required to operate, analyse and plan these complex supply chains. And from within the business, capable staff should be identified and encouraged to up-skill through apprenticeship and graduate programmes. Many businesses have the opportunity to up-skill employees using their Apprenticeship Levy funds. Attracting young people into the business is vital for future growth. This is a challenge affecting the entire sector and to some extent is one of image and public perception. Every forward looking, agile business needs to play a part in reaching out to local schools and colleges, relaying the exciting message of the opportunities that exist in logistics and supply chain for young people and the new skill sets that are required for the highly sophisticated supply chains of today. 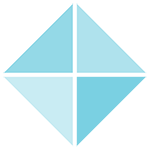 Agile supply chains need agile minds. 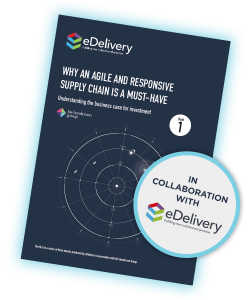 In summary: recruitment, training, and skills development play a vital part in creating dynamic supply chains that are both agile and responsive – significant attributes for a customer focused organisation. 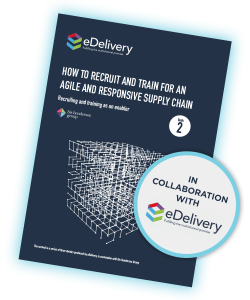 “How to recruit and train for an agile and responsive supply chain”.